Whose Stuff is This? by Yvonne Perry and Dr Caron Goode is a fresh look at one of the best qualities of our humanity—sensitivity. In my professional work as a coach, I have had so many clients who felt compassion and empathy for their fellow man so deeply it sometimes caused them physical, and always emotional, pain. This book offers sensible explanations for why this happens, as well as practical exercises to make life easier by learning how to set healthy boundaries without becoming cold or callous to the rest of the world. 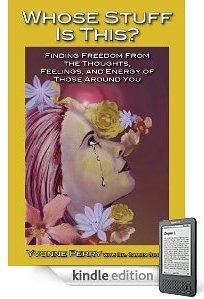 If you or anyone you know has ever suffered simply because they "feel too much", this book will provide you with not only the reassurance that you are not alone, but also a handbook of extensive resources and tips. Every sensitive person—regardless of how they come to interact with negative energy—could benefit from this book that teaches how to detach and screen out the emotions and pain of others while remaining compassionate and effective as a healer or friend, mother, or coworker. In reading Yvonne’s account and so many anecdotes of others, I feel a great sense of relief and gratitude for who I am, and for having followed my guidance to read this book. Looking at the journey Yvonne has been on and where she is now . . . wow! Well done indeed. And how wonderful to have Caron's training/language/mental framework to be able to describe this process to others. Great team work that will benefit and enlighten many and move mankind upward in our consciousness evolution. This book will be helpful to all those light workers who think they've gone over the edge. It will encourage them to keep letting go of limiting, painful, negative beliefs and feel good. I hope that mental health care professionals will read this book and begin to entertain the notion that that mental illness is not illness; but focus and frequencies. I appreciate these two women for answering the call to write this brave, practical, and useful book. A comprehensive book for anyone interested in developing their intuition and psychic abilities. Presented in an easy-to-read manner, Yvonne has created an encyclopedia of knowledge pertaining to the healing arts. What a joy and a blessing! I look forward to recommending this wonderful book. Realizing you're an empath immediately brings up a million questions. This book is an extensive library of answers that can help you figure out what's going on while also empowering you to do something about it! Simply put, this book should be required reading for all human beings as we continue to learn how to navigate our energy bodies while being in a physical body. With thorough research and case examples, this book provides everything you need to know from identifying when you are picking up on others’ energy to practical tips on what to do about it. The information on setting boundaries is really a must-read for everyone whether you consider yourself to be an empath or not. 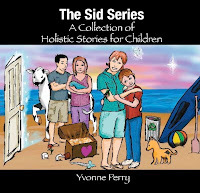 The author, Yvonne Perry, provides a brilliant, much-needed guidebook for children and adults whose gift of empathy can also be their greatest challenge. 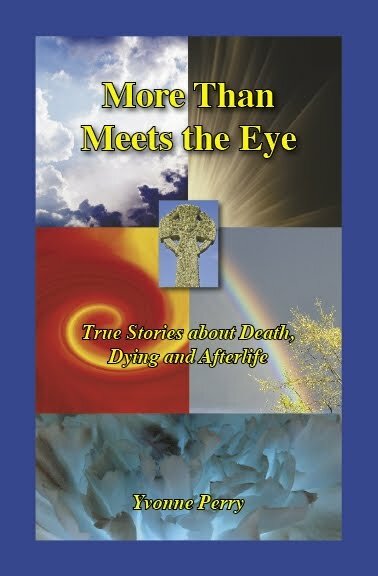 She presents stories that offer strategies for one’s emotional overwhelm and spiritual expression. The excellent techniques to use this gift of emotional connection in alignment with one’s soul’s purpose give all hope. Love your new book--and what a great topic. I wish this book would have been around when I was in my twenties, early thirties as I used to take on everyone's burdens. 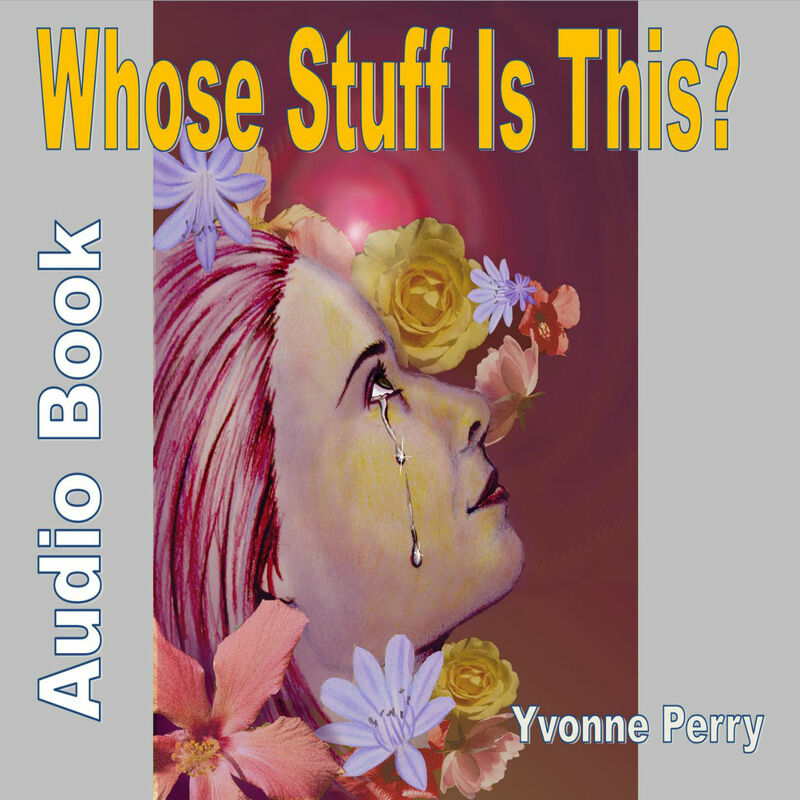 Yvonne Perry's book, Whose Stuff Is This? thoroughly explains the whole process of being an empath in today's world. She provides cognitive, emotional, physical, energetic, and spiritual explanations for the origin of deep empathy, while sharing her own amazing story and the stories of others. This book offers an array of powerful techniques to help empathic people create healthy boundaries, stay balanced, and release other people's energy and emotions from their personal space. This book is a must read for anyone and everyone who is sensitive to the thoughts, moods and problems of those around them. ~ Gini Grey, transformational coach and author of the book, From Chaos to Calm: How to Shift Unhealthy Stress Patterns and Create Your Own Balance in Life. Yvonne’s work is beautiful, well written, and personable. It seems to speak directly to the heart and make it okay to be exactly who you are at any given time. It is comforting to read, and educational, yet not about filling your head with book knowledge—instead, filling the holes of unexplained experiences with a feeling of empowerment and compassion for self and others as we face the pain and trauma on this journey toward wholeness. 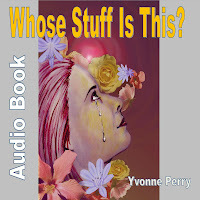 Yvonne Perry's intelligent book expresses the challenges that come along with the gifts of being an empath or sensitive. 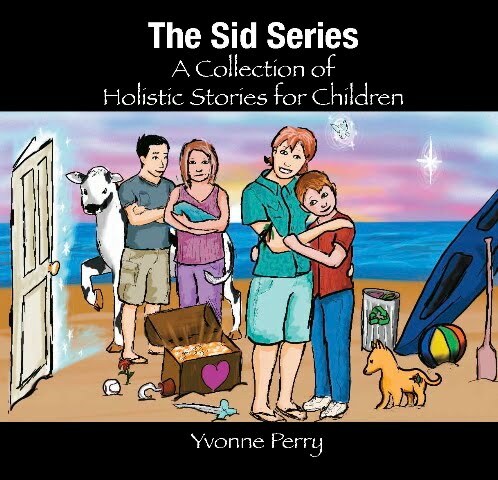 Her expressive stories are a natural way to relate and communicate the effect that being sensitive has on us. Her approach is by far a very easy way to understand not only how we can deal with others but a way to connect to them. It is a much-needed book that explains why there are benefits to aligning and attracting positive energy and why detaching from negative personalities is so vital to our holistic health and well-being. After all, we want to know the answer to “Whose Stuff Is This?” so that we can apply the necessary solutions. Finally, a handbook for Empaths! Whose Stuff Is This? - The guidebook all sensitive people have wanted, needed, and waited for. Author Yvonne Perry goes into great detail showcasing the life of an empath and then gives advice and techniques for living a safe and open life as a gifted sensitive person. The information in this book is valuable for someone beginning his or her awakening process to the teacher sharing with the beginner. Everyone will learn or remember the power of boundaries, clearing your personal energy field, the need for alone time and how to recognize your own sensitive empathic gifts. The resource section is filled with people and books that will engage, empower and guide all people living in today's world. Whose Stuff Is This, will be the book that helps so many people understand why they are different and why that is a good thing. ~ Faith Ranoli - Life Coach, Intuitive Environmental Consultant, Author and Radio Host on HealthyLife.net. I just read about your book on Janet's Riehlife and needed to send a thank you. I've not seen a book on the subject, but have dealt with this issue for many years. My own father's "stuff" had been weighing me down for years without my knowledge. He is paranoid schizophrenic, and wasn't even diagnosed till I was seventeen. I fought through it, with the help of a visionary friend, much meditation and prayer and was finally able to separate it all. I wish there had been something out there years ago and am so glad that "Whose Stuff Is This?" is available now to help others find some peace. Yvonne Perry flawlessly walks you through the process of learning about your internal guidance system. This book is full of tools to increase and fine tune your spiritual and emotional intelligence. This is a must have guide for the care and feeding of your energy body. Through regular practice of grounding, balancing, and taking care of your aura and chakras, by controlling the information you receive and putting a stop to being bombarded by unwanted energy you can take back control of your life and learn how to restore your energetic health. A magnificent manual to help you . . . decipher if your an empath, how to tell what feelings and sensations are your own or someone else's. A must have for anyone walking a conscious path who would like to increase and develop their physic and intuitive abilities. Destined to become the go-to manual for energetic health.